The NewLook Applicator Brush is an industrial-grade, flag-tipped brush used to install NewLook’s concrete colour stains. The NewLook Applicator Brush is an industrial-grade, flag-tipped brush used to install NewLook’s concrete colour stains. The soft, dense bristles make it the most effective tool for installing Newlook stains and the only one Adseal & Newlook recommends or warrants. 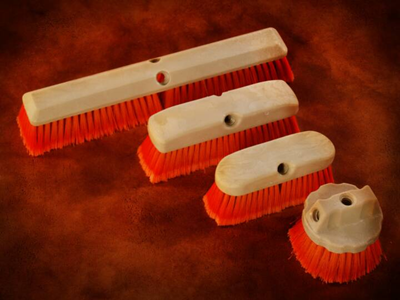 Each brush has a standard size female thread for male threaded broom handles (not included). We strongly recommends using these specific brushes and cannot guarantee (or warrant) installation results if the stains are applied without them.